Liu Qingwu doesn’t set out to commit a crime. He only wants to sell a painting—something more substantial than the Impressionist knockoffs he flogs to tourists outside New York City’s Metropolitan Museum of Art. But the lucrative commission he receives from a Chelsea art dealer is more complicated than he initially realizes. Liu has been hired to create not an homage to Andrew Cantrell’s modernist masterpiece, Elegy, but a forgery that will sell for millions. 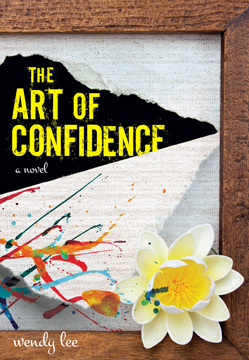 The painting will change the lives of everyone associated with it—Liu, a Chinese immigrant still reeling from his wife’s recent departure; Caroline, a gallery owner intent on saving her aunt’s legacy; Molly, her perceptive assistant; and Harold, a Taiwanese businessman with an ethical dilemma on his hands. Weaving together their stories with that of Cantrell and the inspiration for his masterpiece, Wendy Lee’s intricate, multilayered novel explores the unique fascination of great art and the lengths to which some are driven to create it—and to possess it.